If I was a person with an amazing excess of money, I hope I would have the heart, mind, and will to spread it around in creative and joyful ways. As it is, money isn’t what I have in abundance. 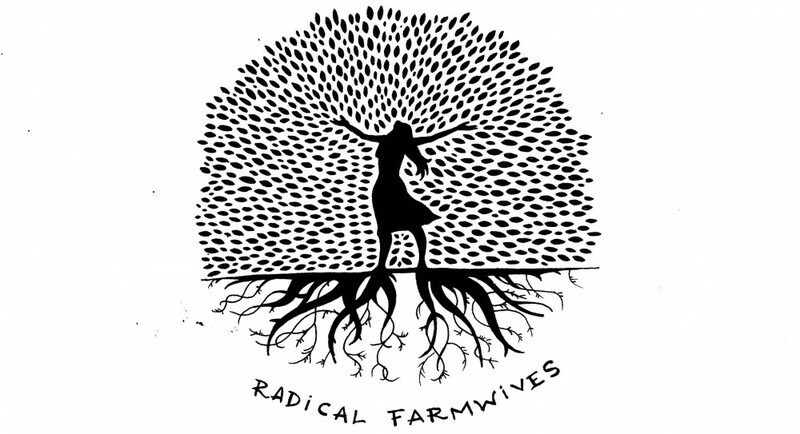 So, like my fellow Farmwives, I’m spreading it around. Our CSA has grown so small now, I can hardly call it a CSA. I can do harvest and delivery in one day, flying solo. 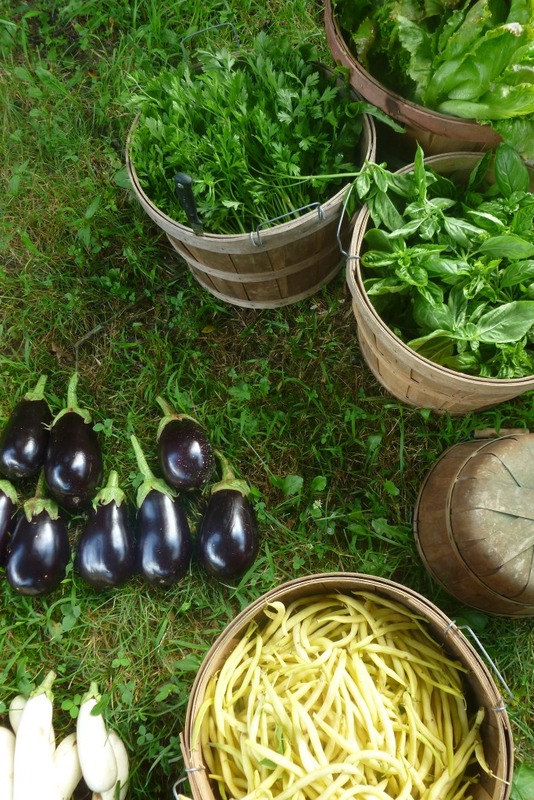 Our gardens, though much smaller than they once were, are still quite large, and we are harvesting oodles of produce. Those of you who grow or have grown gardens, you know what I’m talking about. Those of you who have been trained by prolonged CSA membership probably know too. If you have grown up getting food from a grocery store, you have been deceived about some very essential realities around the nature of vegetables. For instance, tomatoes and broccoli do not grow year round (unless you live in southern California). Outside of relatively rare climatological niches, vegetable propagation moves in boom and bust cycles. This means that we have tomatoes for awhile. 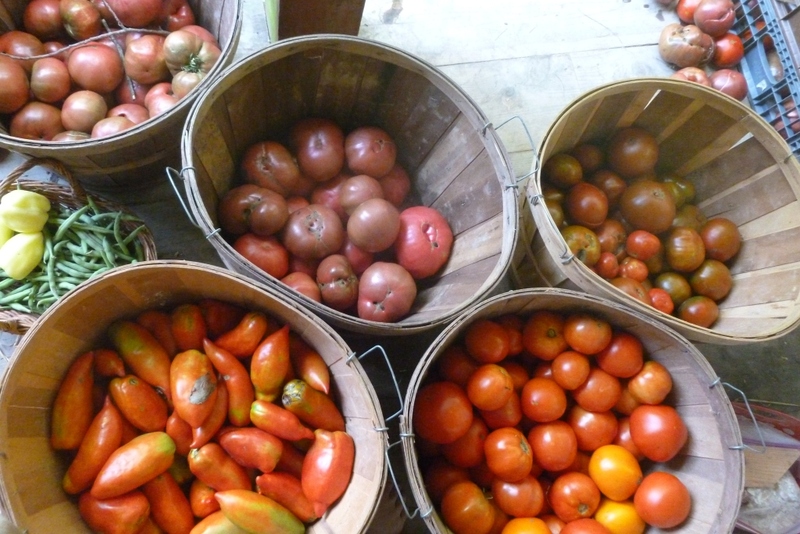 First, a few tomatoes, then a LOT of tomatoes, then less tomatoes, then no tomatoes until the year turns round again. During the thick of the season, we eat tomatoes until we’re tired of them. We find creative ways to use them fresh, and to store them so we can use them later. And then, when they’re gone for the Winter, it’s OK. We had our fill, we’ve filled the pantry, and we’re hungry for the dark leafy greens that thrive as the days grow shorter. 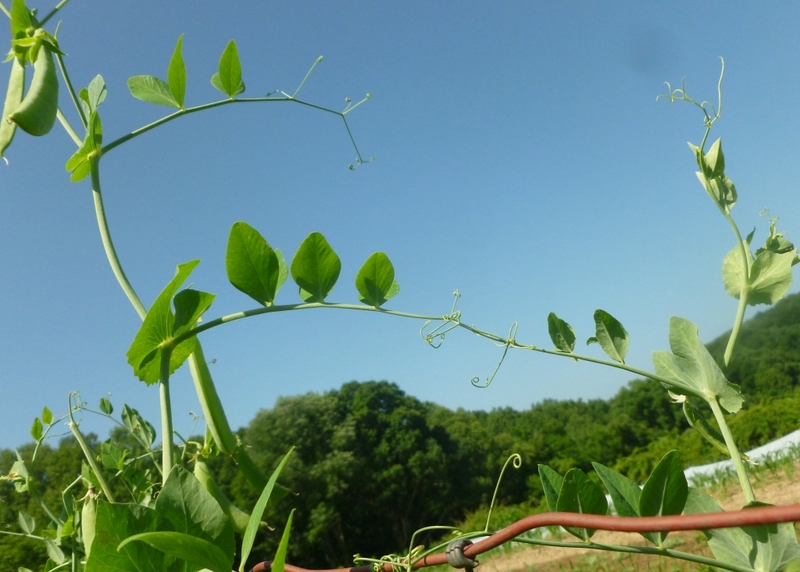 The same is true of green beans, peas, eggplants, melons, sweet corn, and so many other vegetable crops that really don’t naturally lend themselves to being grown out of season. Plenty of other foodstuff needs to be harvested and then stored well for use throughout the season. Onions, garlic, winter squash and potatoes come to mind. If they are not stored well, they don’t last well, and then, there’s no more until the next go round. It can be a demanding system for the authentic grower and dedicated seasonal eater, but its rewards are delicious and life-affirming. 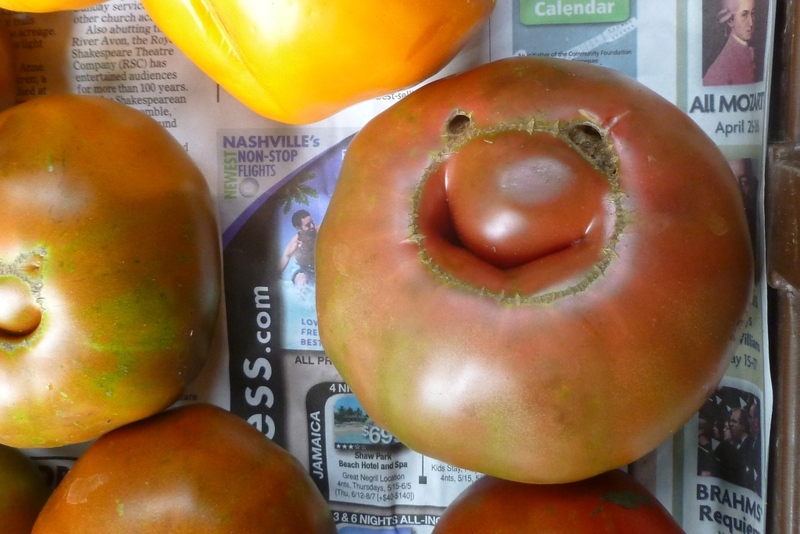 A tomato in winter doesn’t agree with my taste buds. I wouldn’t pay money for it. A well-kept onion or garlic bulb, however, makes a winter stew sing. And a tomato right now, is a jewel in the crown of Summer. It may not be the crown jewel (I personally nominate a watermelon for that honor), but a nice pink juicy jewel nonetheless. It’s worth is beyond compare. So, we’re feeling really wealthy right now, and thoroughly enjoying sharing that wealth with family, friends, and shareholders. Distributing this true abundance in the surrounding community raises our Gross-Local-Well-Being to new heights. I beseech you in this post, veggie-eaters, to gracefully accept the riches that fall upon you this season. Do not be burdened by abundance. Rejoice in your good fortune, and eat tomato sandwiches. 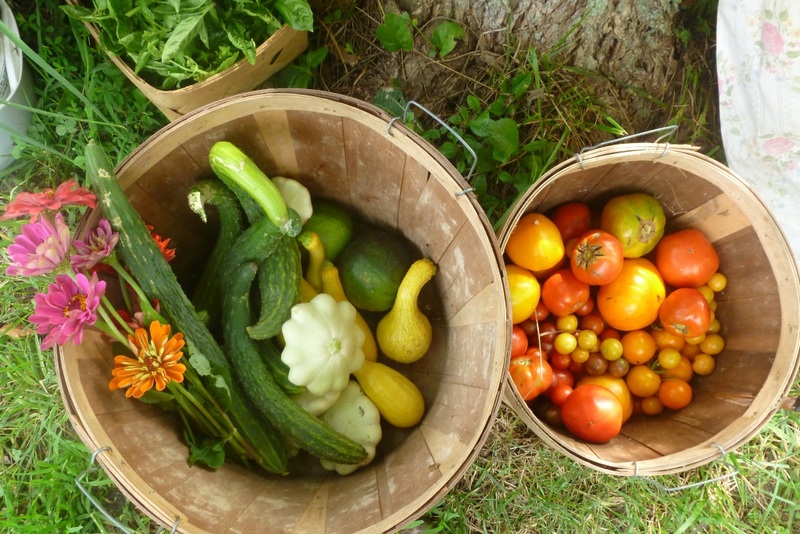 If you are a recipient of an overflowing CSA basket and you begin to feel overwhelmed, consider that this is seasonal wealth. Like all but the truest riches of the spirit, it will pass. Consider the weight of worth that falls upon your local grower! The responsibility of harvesting and storing those hundreds of pounds of watermelons, cantaloupes and tomatoes that take over your refrigerator – we carry that weight for you. This is our opulence, the fruit of our labors, at your service. If were all share to our personal fortunes, in whatever form they take, for the sake of beauty, enrichment, love and joy, what an amazing ratatouille this world would be! 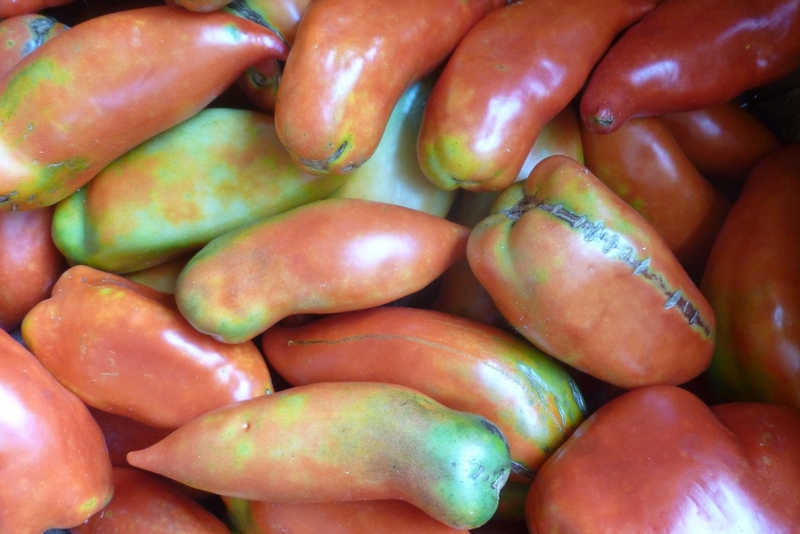 This entry was posted in coree's posts and tagged farming, food, food preservation, gardening, homesteading, seasonal living, simple living, summer, tomatoes by Coree. Bookmark the permalink. Seriously you guys, these things need to be published! This is so awesome, so true, so right on, so beautiful. thanks karen – you’re a winner! Like the grinning tomato at the end, I smile as I read this article. I can’t participate in a CSA (unfortunately … too many dietary limitations, and in our CSA’s, choice is not an option) but I have many friends that do. They all love the abundance that comes in the cycles you talk about, and when there is “too much” of something … well, it’s time to break out the canning pots and pressure canner! Waste is not an option!